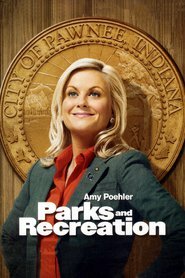 Living… in Pawnee, Ind., as long as the government’s open for business. When the town government shut down, she took a three-month trip to Venezuela, where she met a boyfriend named Eduardo. She should’ve stayed in Venezuela with him. Once she brought him back to Pawnee, he became great friends with Andy, her ex. Her entire plan backfired. So much for the American Dream. Profession… assistant to Ron Swanson, the libertarian director of Pawnee’s Parks and Recreation Department. April is a perfect professional match for Ron, who likes his workers to do as little as possible because of his belief that government should essentially wither and die. April started as a college intern with little to no interest in the gig, and eventually became a permanent hire with no interest in the gig. Ron is more than happy to have her nap on the job. The less that gets done, the better. April’s incredible apathy and rudeness are the twin bulwarks that protect Ron from having to run a functional government. Relationship Status… single, but pining for Andy Dwyer. Her last boyfriend, Derek, was openly gay and dating a man at the same time she was with him. While that was going on, she started developing feelings for Andy. It was a convenient crush since she already hated his ex, Ann, and was eager to help Andy make Ann jealous. She thought that would be enough to win him over, but he was too thick to put two and two together. Somehow his obliviousness made him even more attractive to her. Challenge… dealing with people. April is open about her dislike of social situations, work, and positivity in general. She thrives on disorder and sarcasm. It pains her when something is beyond hating or making fun of. Still, her feelings for Andy are real, but the age gap between them may be too wide to traverse. Even worse, he’s probably still in love with Ann. So lame. Personality… deadpan. April can say the most off-beat things without even the hint of a smile. She has no patience for corporate ideals or social niceties. She’s too bored to be manic, too over-it to be depressed. She's actually quite capable and seems to have great capacity for growth, but will she ever care enough to do so? April Ludgate's popularity ranking on CharacTour is #614 out of 5,000+ characters. See our top-ranked characters and read their profiles.